Hello! Here’s what you need to know for Thursday. 1. Jeff Bezos is reportedly dating former TV anchor Lauren Sanchez. Jeff and MacKenzie Bezos announced that they were divorcing after 25 years together. Sanchez is reportedly separated from her husband, a high-powered Hollywood agent. 2. Jeff Bezos’ divorce could make MacKenzie Bezos one of Amazon’s biggest shareholders. Jeff Bezos owns 16% of the e-commerce giant. MacKenzie could be entitled to up to half of those shares, however, it’s still unclear how everything will shake out. 3. Trump’s threat of a national-emergency declaration to fund the border wall is leaving Capitol Hill in shock. 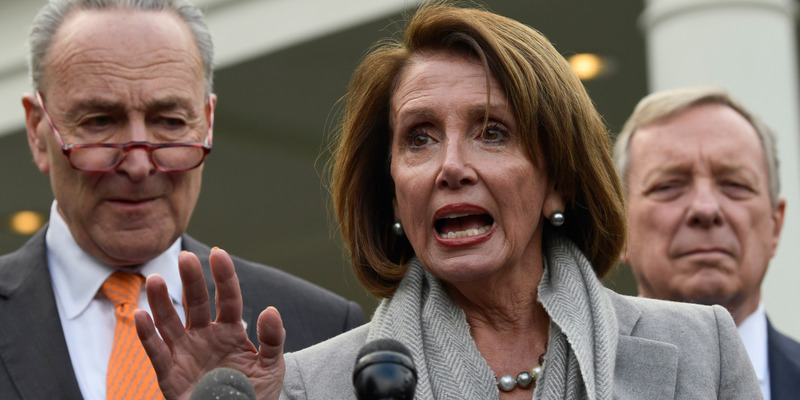 President Donald Trump has reportedly mulled over declaring a national emergency to build his desired wall along the US-Mexico border, but Republicans and Democrats on Capitol Hill are unsure if he even has that authority. 4. ‘Bye-bye’: Trump reportedly issued terse farewell as he abruptly left his meeting with Democrats. Trump later repeated his “bye-bye” on Twitter when explaining why he left negotiations withe Democratic leaders over the government shutdown. 5. Drugs and syringes have become a problem in Starbucks bathrooms. The company is testing out solutions including syringe-disposal boxes, thicker trash bags, and removing trashcans from some bathrooms, after workers reported health concerns. 6. The family of a teenager killed in a 116 mph Tesla crash is suing the company, alleging it makes ‘unreasonably dangerous’ cars. In a lawsuit, the victim’s family alleged that a speed governor was removed by a Tesla technician without owner permission and accused the company of not doing enough to prevent battery fires. 7. Chinese tech giant Baidu is making a play for the next big thing after cloud computing. At the Consumer Electronics Show on Wednesday, the “Google of China” announced OpenEdge, the first open source edge computing platform out of the country. 8. The government shutdown is now the second-longest on record. The current shutdown, which began in late December, is the 21st time the federal government has had a funding lapse since the modern budgeting process began. 9. Here’s what Rod Rosenstein’s reported departure from the Justice Department means for the Mueller probe. Multiple news outlets reported that Deputy Attorney General Rod Rosenstein plans to leave the Department of Justice after a permanent replacement for former Attorney General Jeff Sessions is confirmed by the Senate. Experts weigh in. 10. After a long delay, a winner has been declared in Congo’s presidential election. Opposition leader Felix Tshisekedi was declared the winner, and it could be it the first peaceful, democratic transfer of power since the country’s independence in 1960. If you can’t be at the 2019 Consumer Electronics Show, our reporters have an inside look at everything from robots, to cars, to wearable technology.